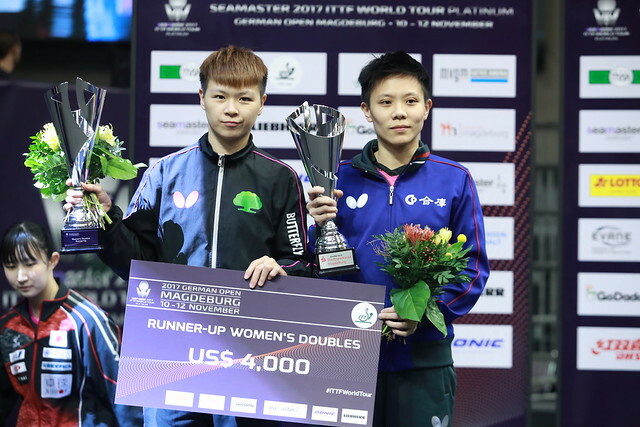 China’s Wu Yang is the defending champion, Austria’s Liu Jia, the host nation’s Shan Xiaona and Japan’s Mima Ito are past winners; they all appear on the Women’s Singles entry list for the forthcoming Seamaster 2017 ITTF World Tour Platinum German Open. Staged in the city of Magdeburg, play starts on Friday 10th November being preceded by the qualification tournament which begins on Tuesday 7th November. However, if Wu Yang is to retain the title or any of the three other notable names is to regain the crown, they will have to do what no other player has ever achieved since the tournament became a member of the ITTF World Tour in 1999. In a total of 17 editions to date, no player has ever won the Women’s Singles event on more than one occasion. Furthermore, if any member of the quartet is to become the first, it will be a quite monumental effort. Liu Jia, who won in 2008 in Berlin, is not seeded; she must play in the qualification tournament. Shan Xiaona, successful in 2014 when the tournament was also staged in Magdeburg is the no.16 seed; Mima Ito the winner in 2015 in Bremen is the no.6 seed, Wu Yang is the no.13 seed. China’s Zhu Yuling and Chen Meng occupy the respective top two seeded places with, following the withdrawal of colleague Liu Shiwen owing to a waist injury, Kasumi Ishikawa occupies the no.3 seeded position. She is followed immediately by Japanese national team colleague, Miu Hirano. The names of Miu Hirano and Mima Ito prominent on the Women’s Singles entry, they also prominent on the Women’s Doubles listing but not together as they were on Sunday 30th March 2014 in Magdeburg. On that occasion they emerged as the winners, being only 13 years old at the time, they gained a place in the Guinness Book of Records. Now three years later Mima Ito partners Kasumi Ishikawa, the pair occupying to the no.4 seeded position; Miu Hirano joins forces with Hina Hayata. They are the no.5 seeds. Hong Kong’s Doo Hoi Kem and Lee Ho Ching are the top seeds; Chen Meng and Zhu Yuling form the second seeded pairing. Hong Kong in top spot in the Women’s Doubles event, it is the same in the Women’s Singles competition; Minnie Soo Wai Yam is the leading name; next in line is Japan’s Kyoka Kato followed by colleagues Kyoka Kato and Minami Ando.